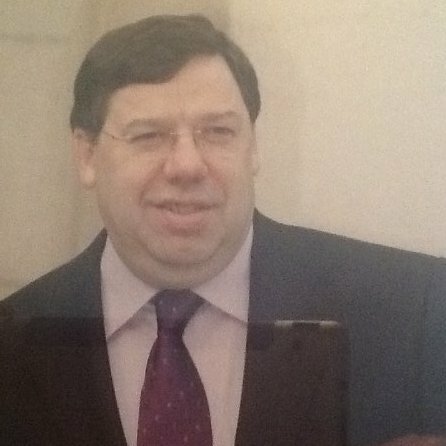 Brian Cowen LinkedIn Profile Pic is a Photo of a Photo Taken on an iPad. You read that right. The Brian Cowen LinkedIn profile avatar is a photo of a framed photo taken on an iPad you can see reflected in the glass. This elicits so many questions. Did he take it himself? Did someone else set up the The Brian Cowen LinkedIn profile? Do they have a framed photo of Brian Cowen in their house? Was he too tight to pay for a professional photo and just snapped a photo of a photo of himself at someone’s Communion? Didn’t he used to run the country? Is it some meta-commentary on the fractured nature of modern identity? Do they not issue scanners to former taoisigh? Does he not have Google? Could his Garda bodyguard not have taken one for him? Is that him you can see reflected in the glass as well? Did he not want a LinkedIn but someone told him he had to get one so he’s playing up by doing it badly? As a caricature artist I’d be a bit miffed if a client sent me this and I’d ask for a clearer photo. Tomorrow we’ll be looking at Enda Kenny’s LinkedIn profile avatar, which is a self-portrait made out of spaghetti with ketchup for hair and brown sauce for eyes.